Undocumented immigrants facing deportation find sanctuary at temporary shelters around the country. “If I don’t see you again, pray for me,” said Jorge Taborda, an undocumented immigrant, to his son Steven, 15, who was born in the United States. He said goodbye and left Steven at his school in Las Cruces, New Mexico. Nearby, Immigration and Customs Enforcement (ICE) agents were waiting for Taborda to take him to the Immigration Detention Center in El Paso, Texas, where his wife, Francia Benitez, and his elder son, Jefferson, 23, also undocumented, were detained. Taborda had agreed to follow the ICE agents in his car after leaving his son at school. 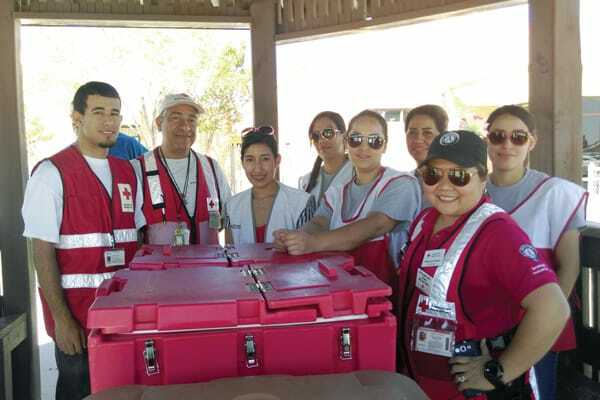 However, he detoured to Our Lady of Health Church in Las Cruces, where he sought refuge. The ICE agents did not enter the church and waited for hours for Taborda to come out, but he remained in the church until the agents left. Then, with the help of the organization Faith and Action Communities (CAFé), he was transferred to the Holy Cross Retreat Center in Mesilla Park, New Mexico, where Franciscan Father Thomas Smith offered him indefinite hospitality, a compassionate protection to avoid his deportation and separation from his children. Although Taborda is temporarily safe, his family has been separated. Shortly after this incident, his son Jefferson was released from detention under the Deferred Action for Child Arrivals (DACA) program, but his wife was deported to Colombia. Taborda’s family arrived in the United States in 1998, fleeing guerrilla violence, but their asylum request was denied in 2002. The Taborda Benitez story is one of thousands of dramatic stories that immigrant and refugee families experience in the United States and around the world. It is a story that has been repeated since Joseph and Mary fled to Egypt seeking refuge from Herod’s violence and protection for their son, our Savior. Currently, the migrants’ plight is part of a controversial issue: the offering of aid, shelter or sanctuary for undocumented immigrants facing deportation. With 11 million undocumented immigrants living in this country and a government administration having the intention of deporting them all, positions for and against have created a climate of fear for thousands of families. 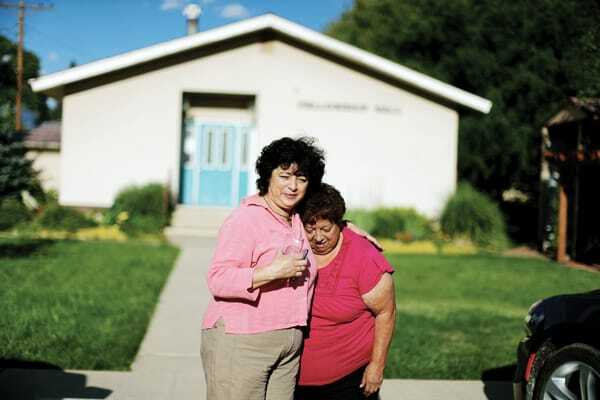 In the United States, a Sanctuary Movement emerged during the 1980s, when thousands fled civil wars in Central America, and U.S. parishes, convents and Catholic congregations welcomed immigrants who faced deportation. Although the social and political context has changed, a New Sanctuary Movement is being organized nationwide to offer assistance to families of undocumented immigrants. The movement includes some 1,000 congregations and 800 faith communities. Deacon Kevin McCarthy, who does mission promotion for the Maryknoll Society, has joined one of these faith communities in his parish, Blessed Sacrament in Springfield, Mass. His parish, says McCarthy, is part of a local network of faith-based organizations that will provide support to the South Congregational Church, a historic Christian church in Springfield that announced last July it will provide sanctuary for undocumented families at risk of being deported. Springfield Mayor Domenic J. Sarno, citing housing codes and legal issues, immediately criticized the South Congregational Church’s decision. This is just a sample of the difficulties that organizations offering sanctuary to immigrants face at the national level. Texas enacted a law on its “sanctuary cities,” granting police the freedom to ask people they detain about their immigration status. The law mandates that the police cooperate with federal immigration authorities and calls for fines and even jail time for police officers who do not comply with the law. Opponents of the law are challenging it in federal court. Moreover, through Attorney General Jeff Sessions, the Trump administration has threatened to punish so-called sanctuary cities by withholding millions of dollars in federal assistance for public spending if the cities do not cooperate with immigration authorities in identifying and detaining undocumented immigrants. Sanctuary cities are those that limit their collaboration with federal immigration authorities. Because “sanctuary city” is not a legal term, each such city establishes its own way of offering assistance to its immigrant residents. Some 60 cities in the United States, including New York, Los Angeles, San Francisco and Houston, have declared themselves sanctuary cities. Although they face different challenges from those of sanctuary cities, numerous individual churches have also become sanctuaries, and the number has doubled to 800 in the past year, according to Church World Service, which helps immigrants obtain legal status in the United States. 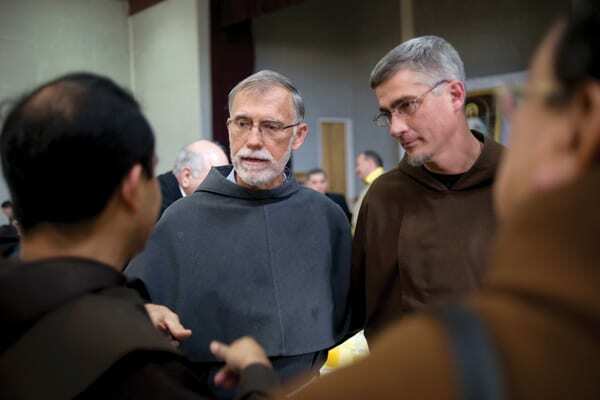 “We are a nation of immigrants and our future depends on our ability to include others rather than excluding them,” says Maryknoll Father Raymond Finch, superior general of the Maryknoll Fathers and Brothers. Maryknoll’s decision then was supported by the Greater Hudson Valley Coalition for Sanctuary and Refugees, which consisted of 15 churches and synagogues. That year, Maryknoll provided shelter to a family of Guatemalan catechists who had been threatened with death under the government of General Efraín Ríos Montt. More than 15,000 Mayan indigenous people died during his 18 months as president of Guatemala. Because social justice for migrants is one of the areas in which Maryknoll missionaries work around the world, Maryknoll provides information and education through the Maryknoll Office for Global Concerns. Maryknoll also supports the position of the United States Conference of Catholic Bishops on their call for compassionate immigration reform. The issue of compassion for migrants was a focus of a recent missionary immersion program organized by Maryknoll as a collaboration with the Border Awareness Program hosted by the Columban Fathers at the border with Mexico. Participants learned about the work of organizations such as Communities in Action and Faith, as well as the human drama of immigrants such as Jorge Taborda. Taborda, who was a university professor in his native Colombia, served in Las Cruces as a computer technician. 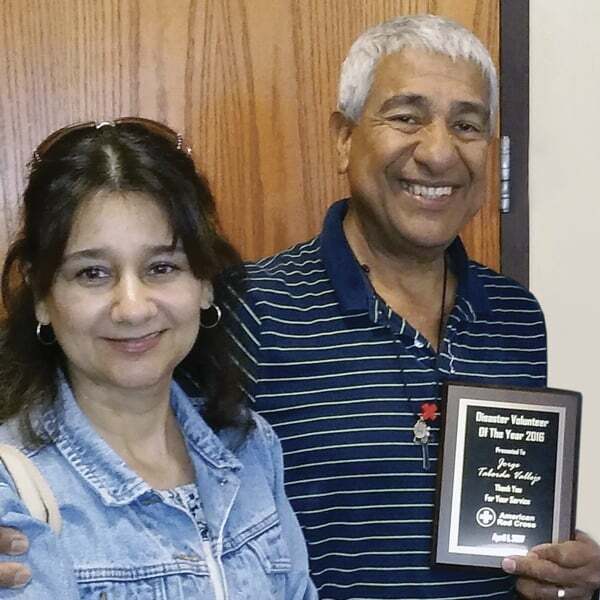 Active in his community and his parish, Taborda even received the 2016 Volunteer of the Year Award from the Red Cross for his volunteer efforts in emergency situations such as Hurricanes Katrina and Sandy. His son Jefferson graduated last year with a bachelor’s degree in criminal justice from the University of New Mexico. His wife, Francia, worked as a housecleaner. Although he has wept unceasingly over his wife’s deportation, Taborda does not lose faith and trust in her return and the reunification of his family. Hi, I’m David R. Aquije, a journalist who was born and educated in Lima, Peru. I’ve lived in the United States since 1991. I have worked for Maryknoll since 2000, first as associate editor of Revista Maryknoll, now MISIONEROS, and six years ago as the editor. Dear Father Mosher, thank you very much for your comment. We are updating the article to include this important information. I am a great fan of Fatima, hang on my comment will relate to the above article. In 1985, former Ronald Reagan went to Portugal to comment on Fatima. He said he represents the USA with 237 million people. Fast forward 30 years later, this country is now at 337 million. The population exploded with immigration both legal and illegal, not US births which are low due to abortions. It costs the American citizen money for housing, schools and even the criminal justice system related to immigration. Americans are struggling so this country cannot support every illegal immigrant who crosses the border. The city I live in spends nearly $20,000 on public education per student, a sizeable population are children from illegal immigrants. If you are behind in your taxes, citizens lose their homes in tax liens. There is a price for everything including illegal immigrants crossing into this country.